Daily cleanser provides oils, glycolics and moisture hugging oatmeal leaving skin feeling soft. For Normal Skin and Dry Skin. The right combination of nourishing and hydrating ingredients come together to provide the complete meal your skin craves. This cleanser is a mixture of nourishing and cleansing oils, glycolics and moisture hugging oatmeal. Oatmeal is the ultimate hydrating element, when combined with the glycolic action of the sugar, this unique product cleans and conditions skin. With the added nutrients and antioxidants, it leaves your skin clean and soft without the tight, dry feeling of most cleansers. 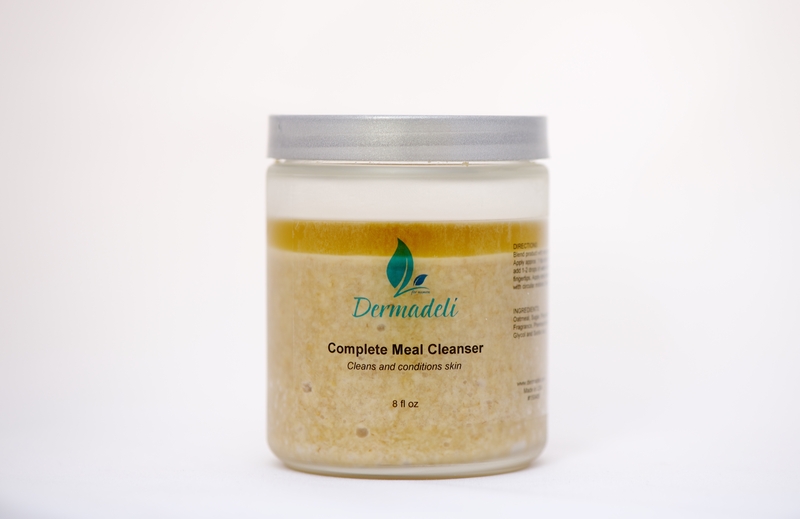 Use as a facial cleanser; use as a hydrating scrub on heels, elbows, and knees; use to exfoliate legs and arms. The perfect meal for your skin. Directions: Apply approx. 1 tsp. onto palm of hand, add 1-2 drops of water and mix with fingertips. Apply onto dampened skin with circular motions. May be used 3-4 times a week. Product must be mixed before each usage; mixer included in packaging. Oatmeal, sugar, Grapeseed Oil, Olive Oil, Castor Oil, Wheatgerm Oil, Lemon Essential Oil, Phenoxyethanol, Caprylyl Glycol and Sorbic Acid. Now, I’ve been using this for quite some time now and my skin has loved it. From the first usage my skin felt thoroughly cleansed while remaining soft and supple. 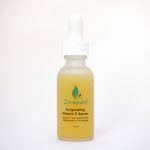 Over time I have noticed my skin becoming clearer and bright and my pores have even shrunk down in size a little. From my first try of this product I immediately saw improvements on my skin the very next day. I first expected the Complete Meal Cleanser to just be in a liquid state…basically not like a scrub. However this cleanser comes along with particles of sugar and oatmeal in it and smells pretty much like your morning porridge. The cleanser also contains oil which pretty much makes it the perfect cleanser for those with dry skin. After every use my skin feels thoroughly clean and it feels so soft. This cleanser has replaced my other cleanser such as Dermalogica and Simple. I cannot praise this cleanser enough. I could not be without it!